Late yesterday morning the $100/$200 PLO tables over at PokerStars came alive for an hour with four simultaneous tables of action loading up. The big winner from the session was last year's biggest high stakes winner, Swedish pro BERRI SWEET who walked away with a $121,649 profit. 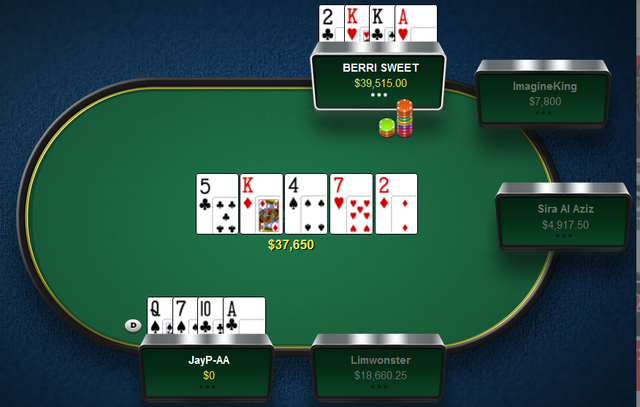 In total BERRI SWEET played at six $100/$200 6max tables with some full and some short-handed, and he managed to turn a profit at all of them playing against the likes of Ben "Sauce123" Sulsky, Gavin "gavz101" Cochrane, Limwonster, André "Sira Al Aziz" Santos, ImagineKing, PINGUWARRIOR, JayP-AA, and ActionFreak. A fair way behind in second on yesterday's leaderboard we find 2018's biggest winner so far, gavz101 who profited to the tune of $30,216 with $10k coming from the $100/$200 games and the remainder from some evening sessions at the $25/$50 and $50/$100 PLO tables. Third place went to libby493 who ended the day up $25,752 with over $19k coming from brief $50/$100 heads-up PLO match in the early hours of yesterday morning against St1ckman. The remainder of libby's profit came from a couple of short appearances at the $50/$100 NLHE tables. Completing the top four winners from yesterday's games was JayP-AA who ended the day with a $13,579 profit most of which came from the lunchtime $100/$200 PLO tables. The remainder came from the $400/$800 8-Game tables. Although he lost $44.6k in a post-midnight session to RaulGonzales, the pair met up again mid-evening where JayP-AA walked away a $47.9k winner.